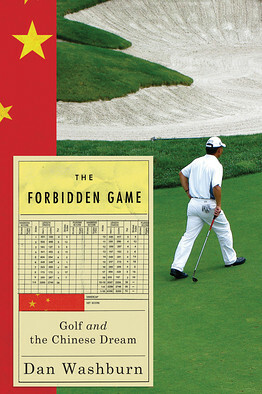 … golf “offers a unique window into today’s China,” a country of paradoxes perhaps best exemplified by the fact that although construction of new golf courses has been banned in China since at least 2004, more than 400 were built between 2005 and 2010, making China the only place in the world experiencing a golf boom. Government officials who enjoy hitting the links register at golf courses under false names, afraid of leaving a paper trail connecting them to a game most often associated with capitalism and corruption. And while massive golf course complexes lined with luxury villas populate large tracts of land outside Chinese cities, their owners attempt to hide the courses in plain sight, giving them convoluted names like the “Anji China Ecotourism and Fitness Center.” Like so much else in contemporary China, golf occupies a gray zone: officially forbidden, yet tolerated — even encouraged — behind the scenes, as local government officials and land developers reap massive profits from the construction of new courses.